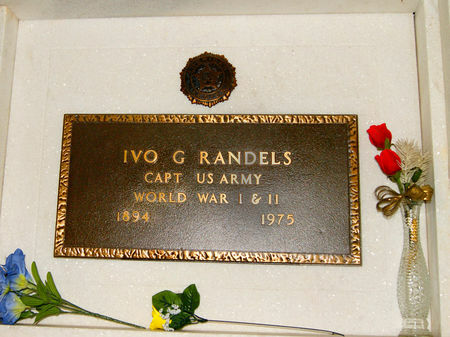 Ivo Guthrie Randels, son of George Washington Randels and Lucy Estelle Brown, was born June 23, 1894 near New Sharon, Mahaska Co., Iowa and died July 27, 1975 in Porterville, Tulare Co., California. He married Florence Aleta Laub Sept. 25 1923 in Page Co., Iowa. Searching for IVO GUTHRIE RANDELS in Taylor County Iowa?